On August 2nd, Samsung Electronics will unveil the Galaxy Note7. With added functionality of the S Pen and large screen, the Galaxy Note7 is a powerful instrument for achievement and self-expression, and is made for those who want to get the most from their phones – and their lives. Galaxy Note7 will help people do more in work, at home and everywhere in between. We can’t wait to tell you more about it! 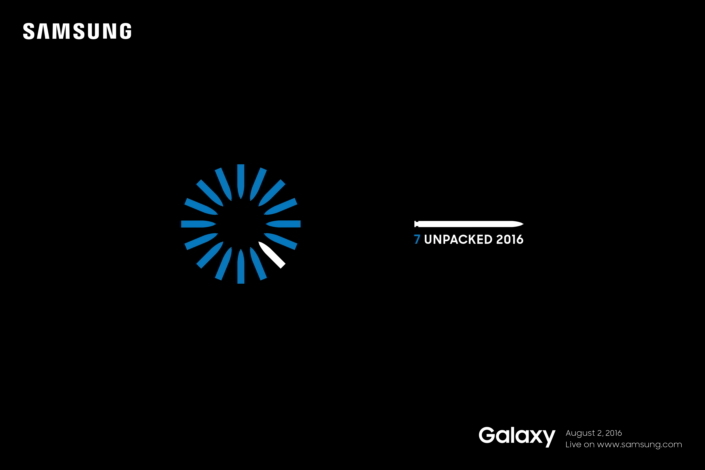 To celebrate the launch of the Galaxy Note7, the Samsung Galaxy Unpacked event will take place at 11:00 a.m. EDT in New York on August 2, 2016. Simultaneous, launch events will take place in Rio de Janeiro at noon and in London at 4:00 p.m.